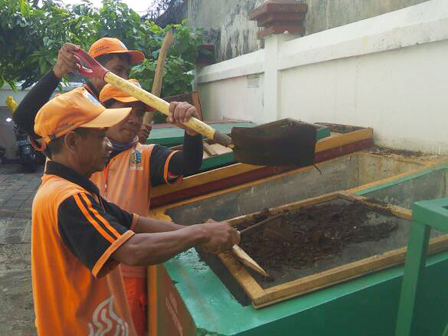 Organic waste management by Kebayoran Lama Utara Urban Village, South Jakarta can be useful as compost fertilizer. Not only reduce waste volume, fertilizer can also be used for plant maintenance.
" Organic waste itself is collected by 70 officers of PPSU"
"Organic waste itself is collected by 70 officers of PPSU," expressed Waluyo, Head of Kebayoran Lama Urban Village, Thursday (6/15). According to him, PPSU officers previously underwent composting training through South Jakarta Forestry Sub-dept. Thus, after organic waste is collected, they also conduct waste recycling until it becomes compost fertilizer. "At least we can produce five kilograms of compost fertilizer. And we use it to maintain parks and green belts here. Socialization about waste recycling is also done, to reduce waste volume significantly," he said.